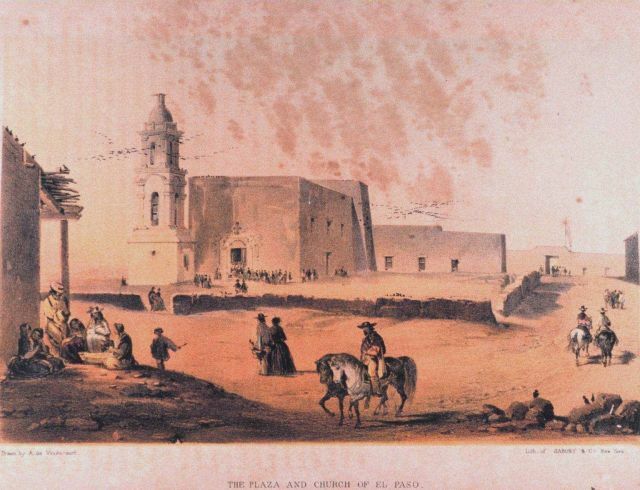 The Plaza and Church of El Paso. In: “United States and Mexican Boundary Survey. Report of William H. Emory ....” Washington. 1857. Volume I. P.92 Library Call Number F786 .U45 1857.